Would you like to make some crystals? Do you want to know more about crystal forms and the 7 crystal systems? 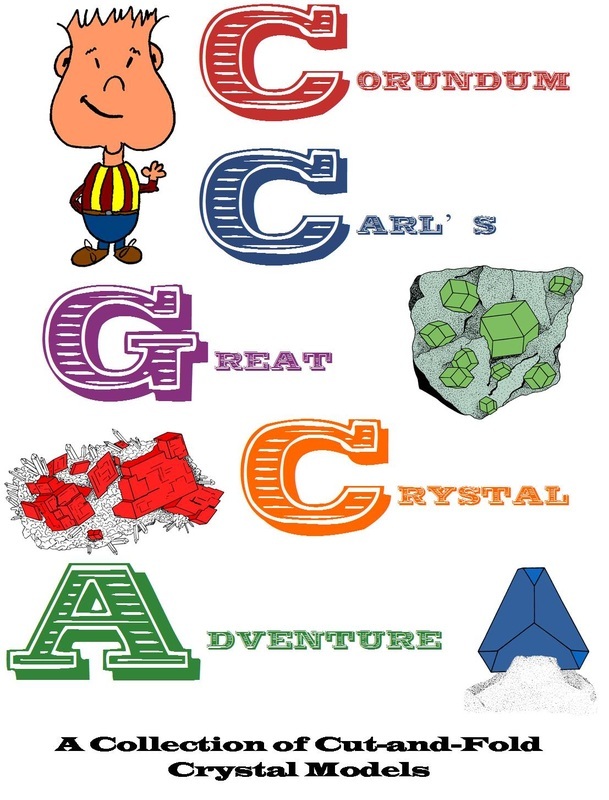 Click the image of Corundum Carl's Great Crystal Adventure to the right and download a PDF file for your own personal use (this file cannot be sold and cannot be used to print copies for sale; the copyright is owned by Darryl Powell and Diamond Dan Publications). Print the crystal models on heavy paper. Cut them out, fold on the dotted lines and glue or tape the tabs to the opposite crystal face. Tada! You are making crystals. Click here and you will find a recipe for making salt and alum crystals.